Our continuous improvements to on site accommodation now feature toilet facilities for male and female workers. The Groundhog GPO500 & SWO7600 Fusion products come fully equipped with two toilets, with a choice of recirculating or full flush systems. Each unit complies with current regulations and has a good economic use of space. These lightweight units are secured in minutes providing pleasant & safe working environments, making them a high secure choice of anti-vandal welfare unit. We are constantly improving the Groundhog product range to ensure all our units meet ongoing legislation and remain as robust and easy to use as ever, while improving environmental efficiency and increasing cost savings for you..
Groundhog UK Ltd is a long established privately owned company with a state of the art modern manufacturing facility. We specialise in the manufacture of mobile and static environmentally efficient welfare units, designed and built by our in-house team. 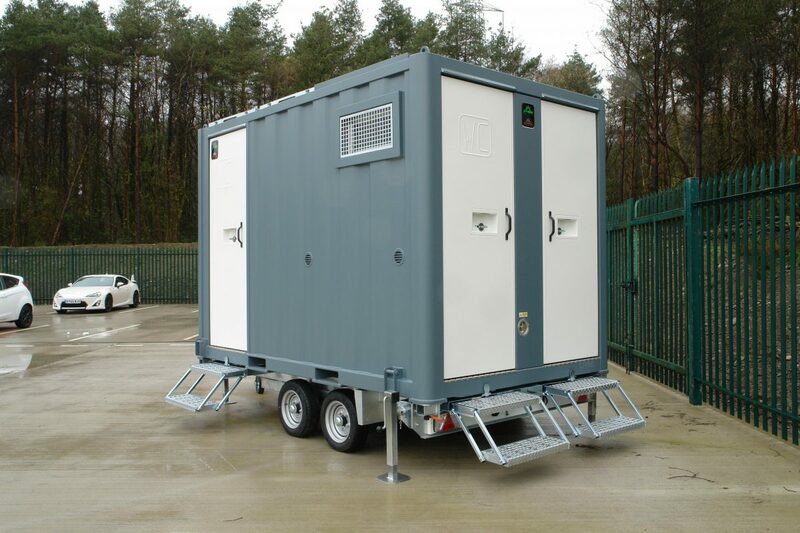 The Groundhog Mobile Welfare Units and Secure Store Units are lightweight & compact. Easily towed, one man operation secured & manoeuvred on site, in less than 3 minutes. The Groundhog Static Welfare Units are suitable for accommodating up to ten persons, providing pleasant and safe working environments. Ideally suited for rental companies. Highly efficient battery charged via intelligent solar power system built in controller and backed up by an on-board power silenced generator – ensures optimum performance. Committed to providing customer care and technical support long after purchase, we have specialist welfare service engineers near you! Download or view our extensive spare parts catalogue online to find exactly what you want quickly and easily. Looking for used welfare accommodation? Browse our range of units and find some great deals. Click here to find out more about our Service & Maintenance or our Hire Desk & Sales Awareness product training. Click here to download one of our product brochures or request one of our unrivalled operator's instruction manuals. Click here if you would like to arrange a factory tour where a warm welcome awaits you.